Too much sun when I went further back, but that’s them both together. 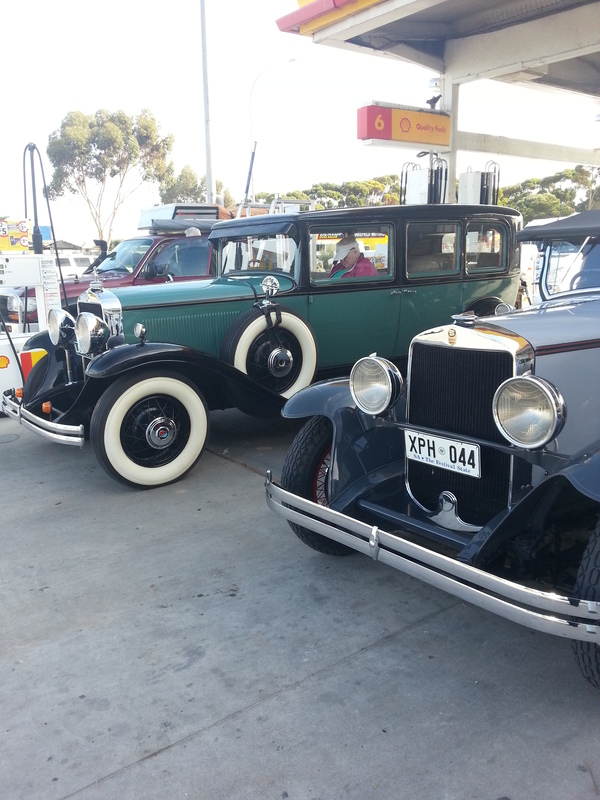 It seems there was some sort of vintage car rally on in Adelaide, hence the reason for the cars at Port Wakefield Service Station. They were well kept and looked lovingly cared for – everything gleamed. It was fortunate that there were two such cars – so a double treat. On Tuesday evening I found a Pasta place and had a chicken with penne pasta garlic, cheese, tomatoes and a pesto sauce. I also bought a bottle of Shiraz and had a couple (two – only two) glasses of wine. Since I had my computer with me (have laptop – will travel!) I wrote up my notes and brought my diary up to date. I was thinking of transferring things into another diary but decided against it since I would have to re-write everything up to the point of transfer and that just seems like an incredible waste of time. Tried to call home, but could not. I made a number of calls without success and it was not untilI came home that we discovered there is a fault on the line and the area was having problems. This morning (Thursday) Telstra will send out a technician to find the fault and fix the lines. Meanwhile, all our calls are being diverted to my mobile (Cell) phone. I had also been asked by a friend here at home if I would go to the other end of the city and collect some things for her. I said I would and from there I started back home. As with the drive down, the drive home was good. I won’t say enjoyable because driving for five hours is not fun, but it is tolerable. And the weather was dry – dull, overcast, but dry. Herself asked me how the conference was and I think the word I used was tedious. I made a couple of stops along the way so it was a little bit longer than I had intended. I did think about dropping into the Arid Lands Botanic Garden, but decided not to at this stage. Still in progress. Will fix the trellis tomorrow. 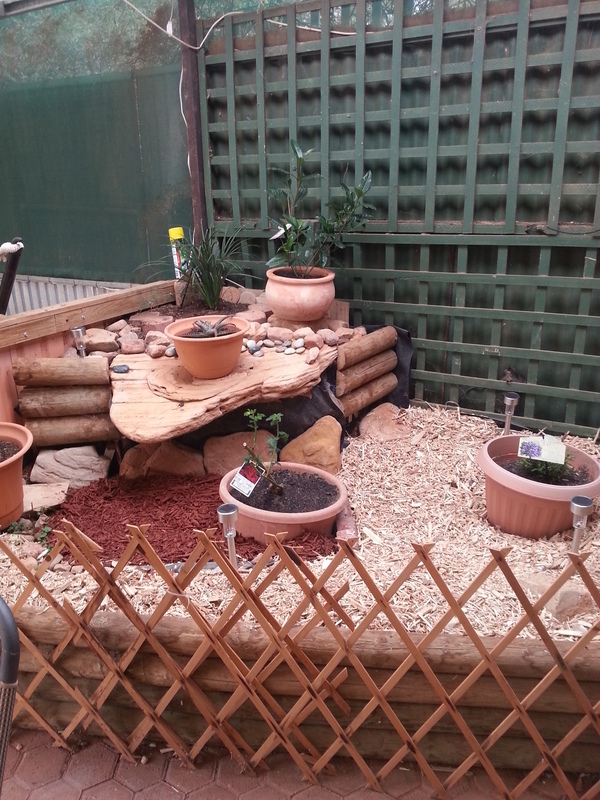 Today I watered all the plants and tidied up. Discovered that the solar light I put in the pergola will not work. I thought there would be enough light to activate them at night – I was wrong.